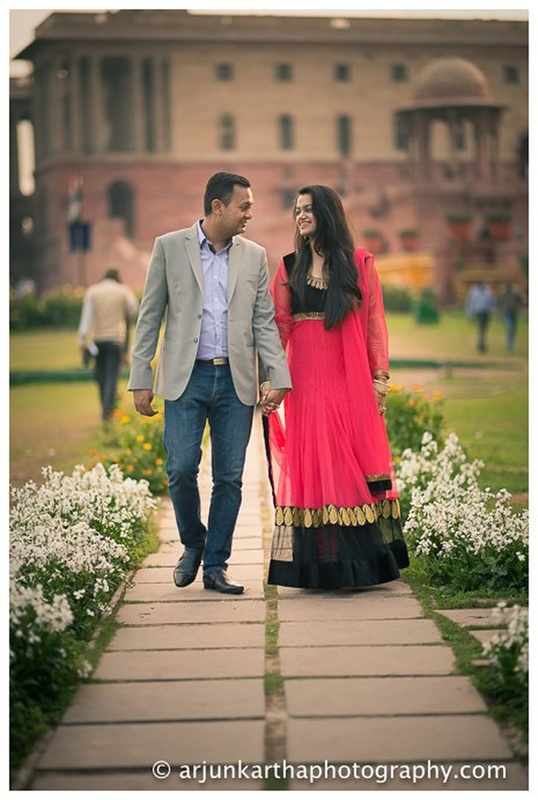 Both Nikita and Sameer live in Australia, as their families relocated there many years ago. 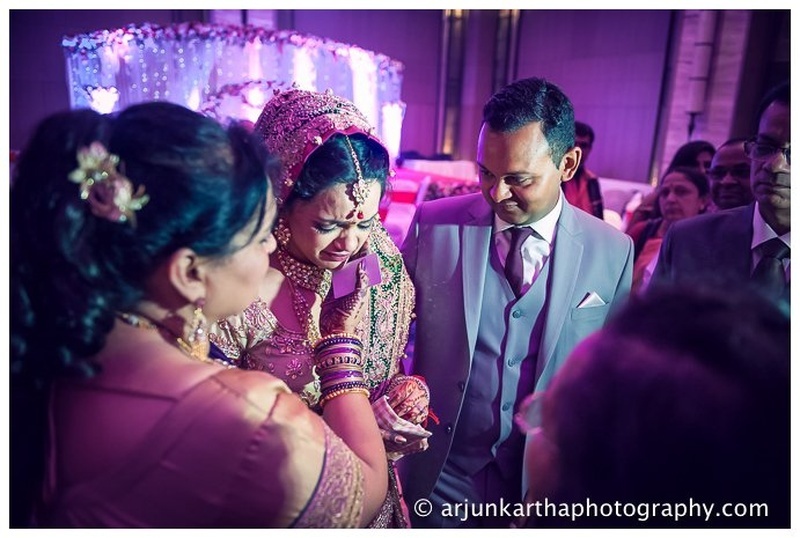 The shy Sameer’s parents met Nikita at a friend’s home, during a Puja and immidiately decided that they had to introduce her to their son. 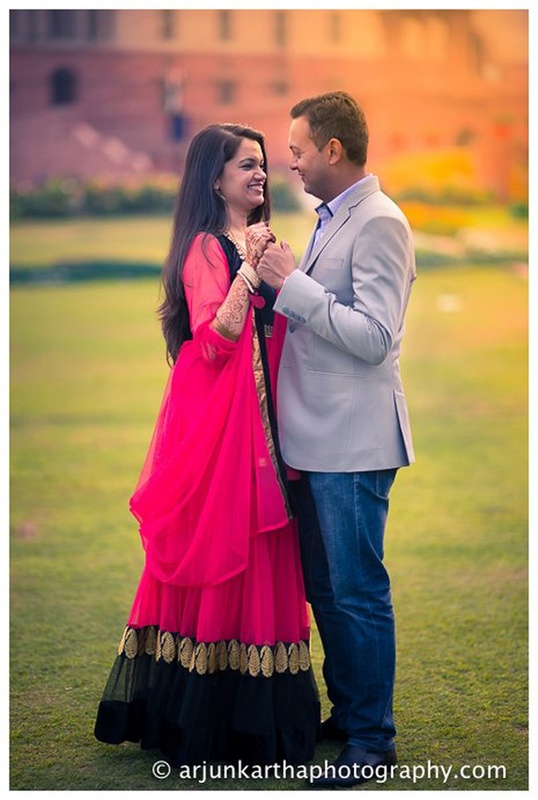 Somehow, destiny finds its way in bringing soulmates together, with a little help from the desi parents, of course. 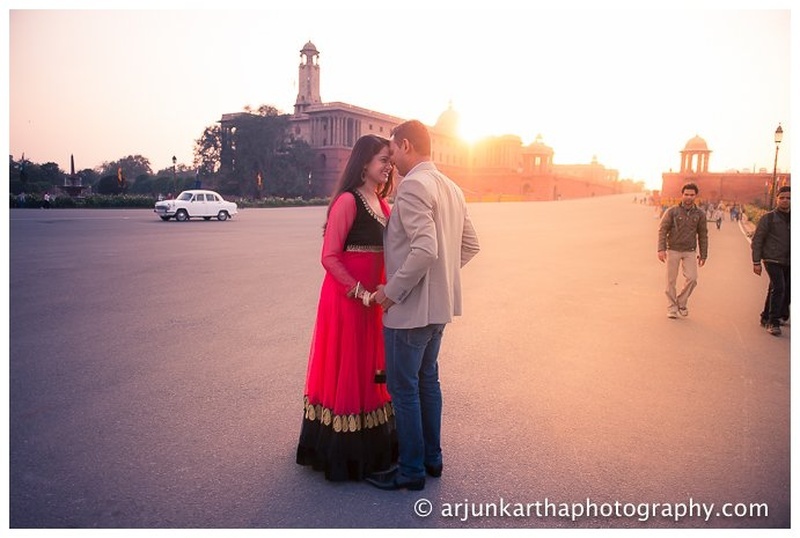 And sure enough, connection and chemistry between the two young people was absolutely instantaneous too. 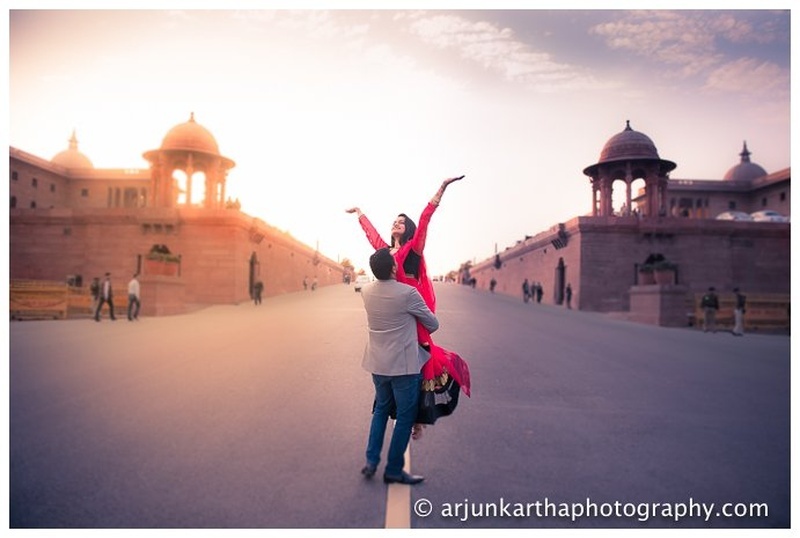 Soon after lots of talking and dinner dates, Sameer prepared for an elaborate day date with Nikita where they went around town in a carriage and there, Sameer proposed! 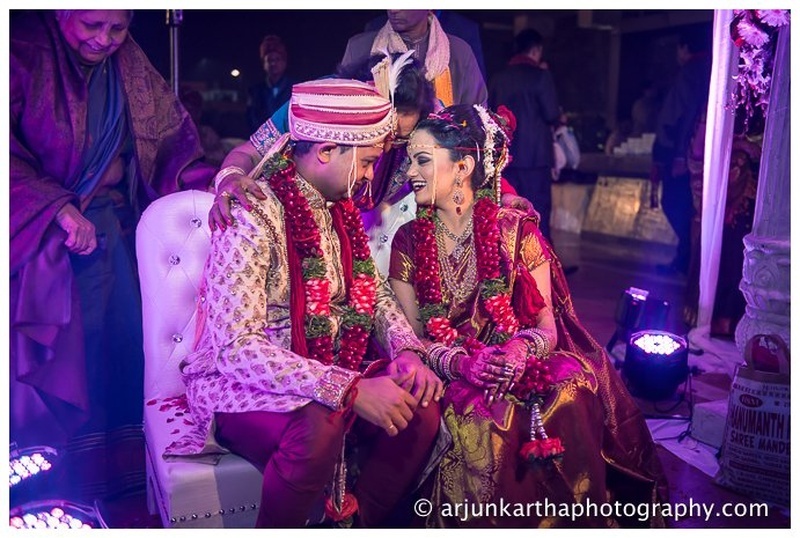 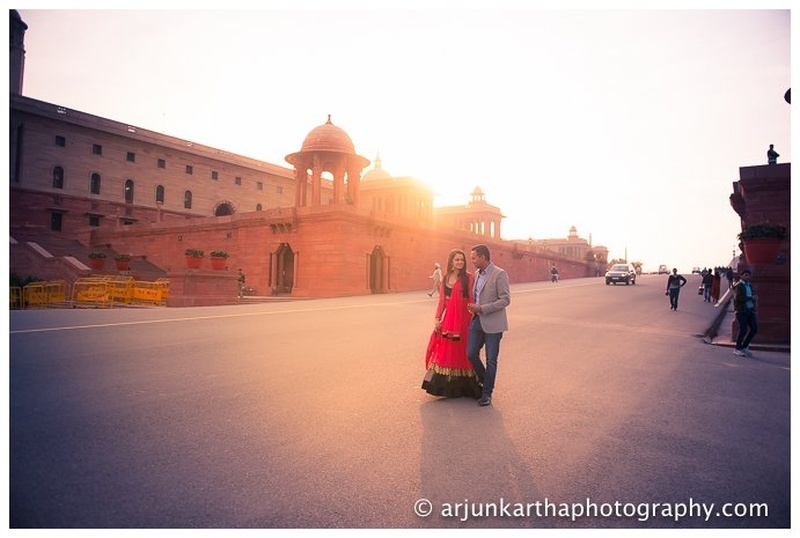 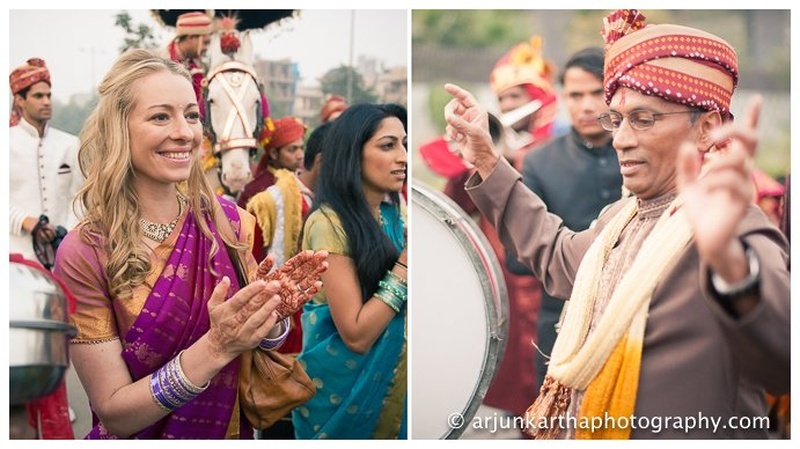 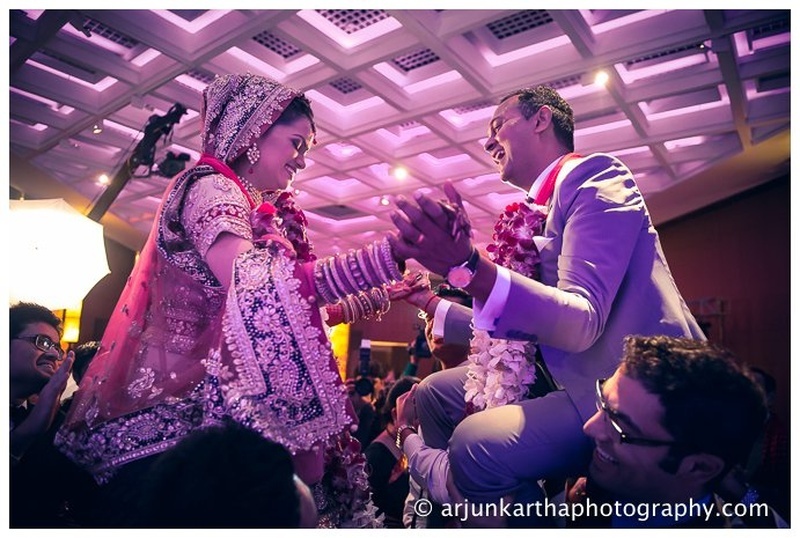 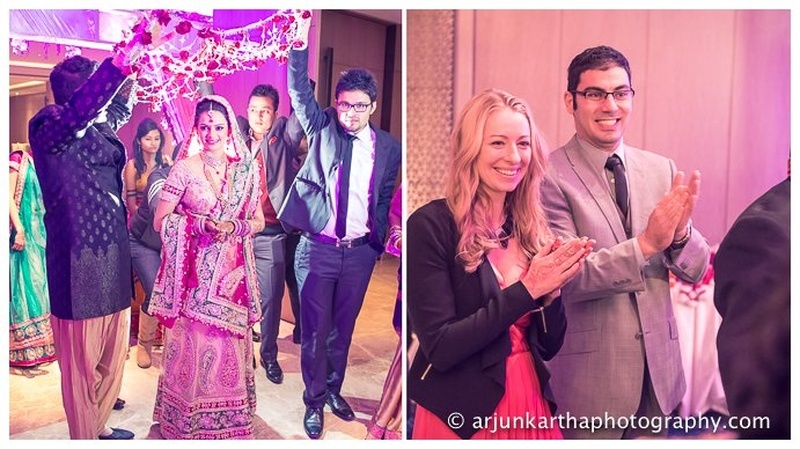 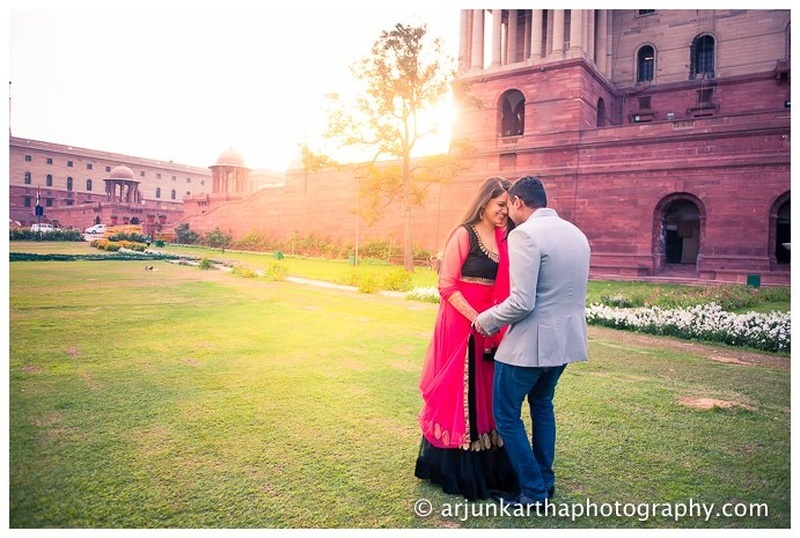 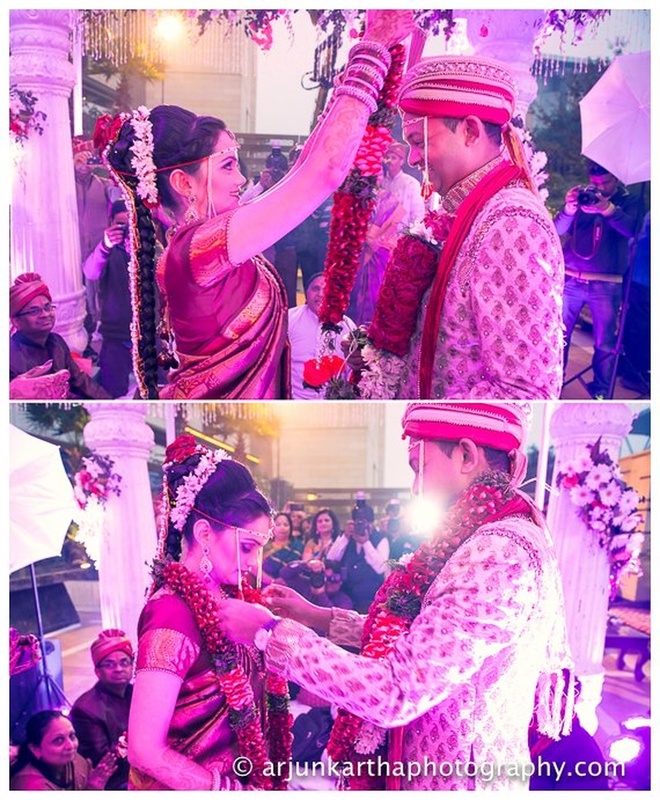 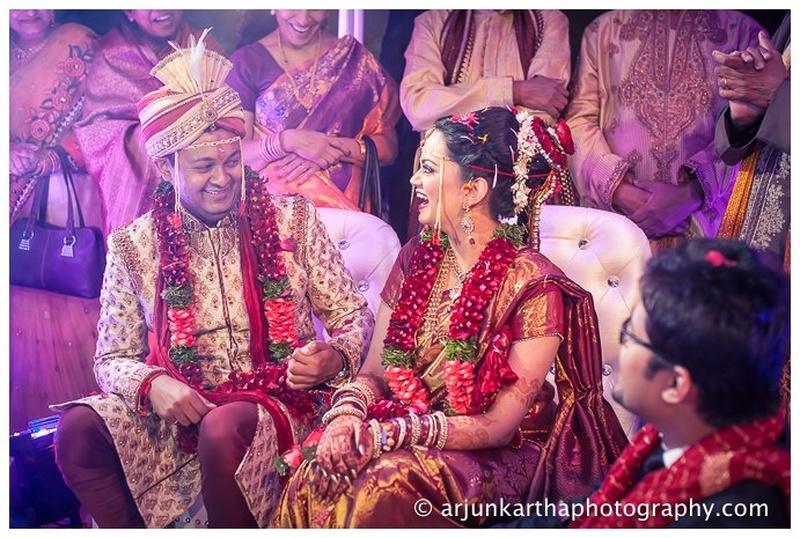 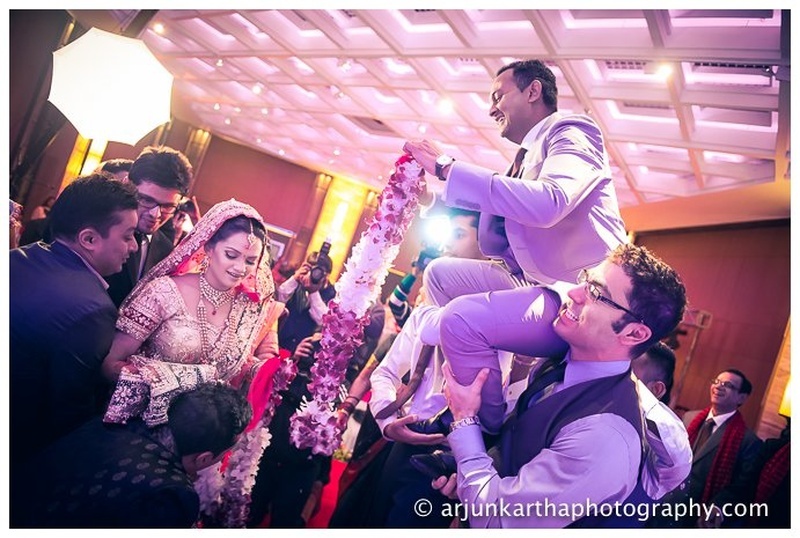 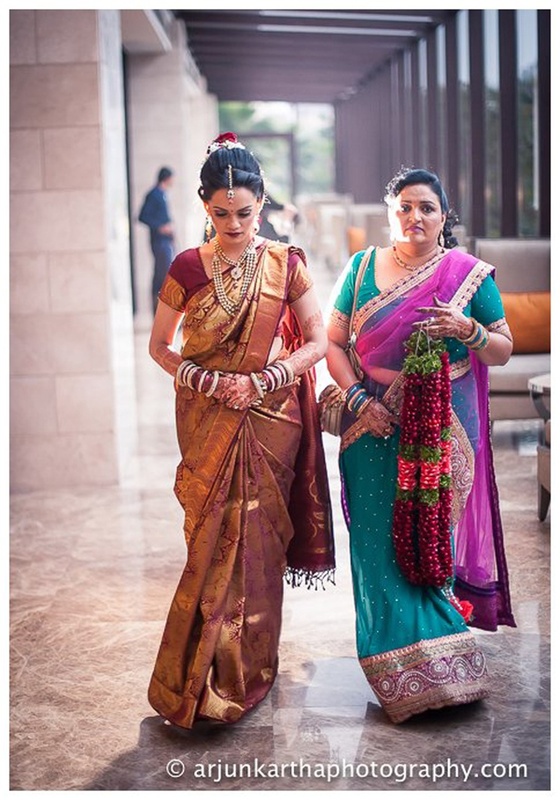 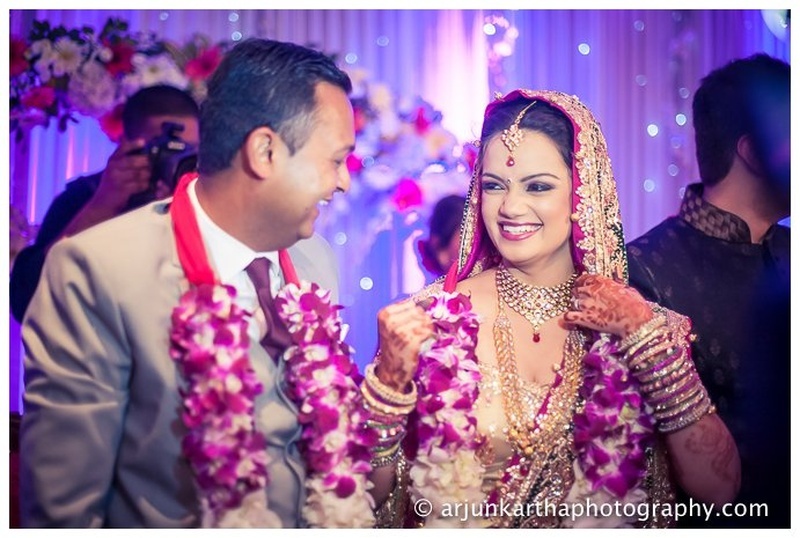 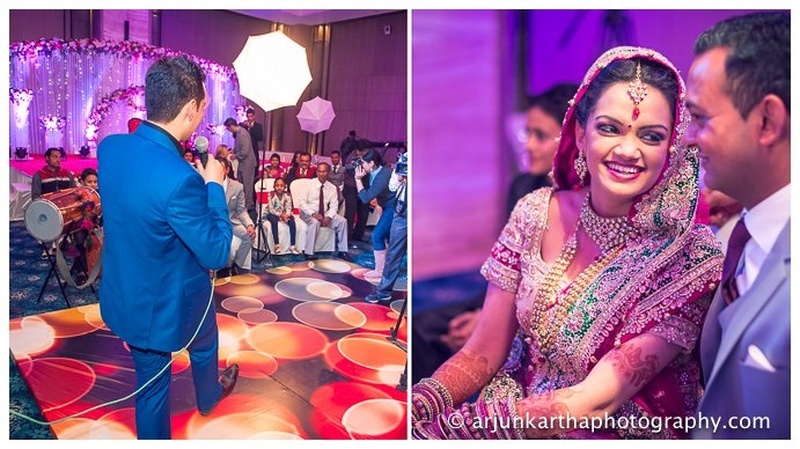 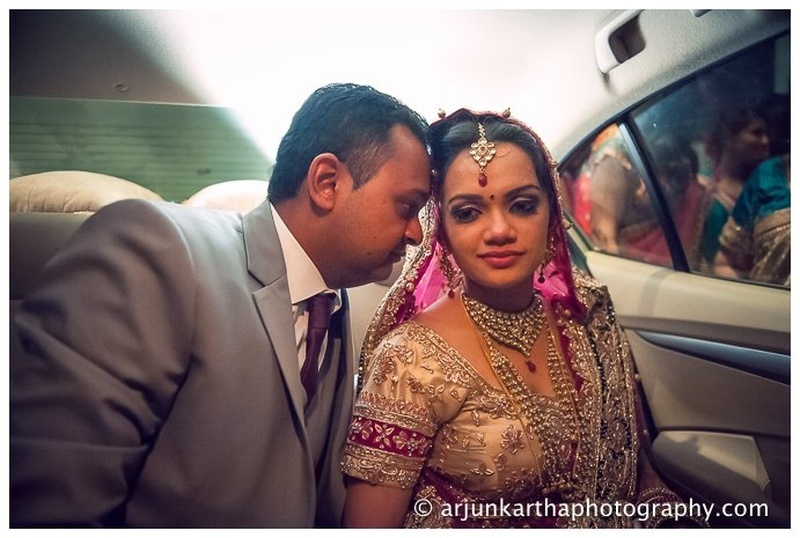 They flew down to India with both their families to have their gorgeous grand desi wedding. 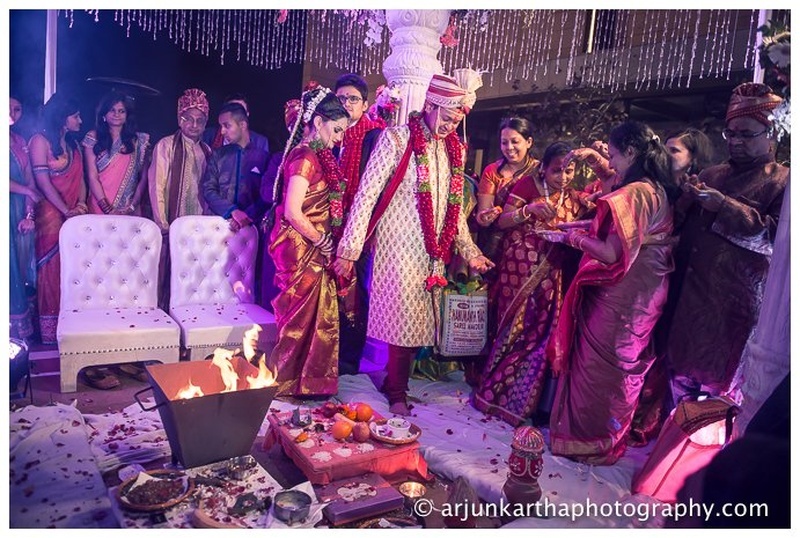 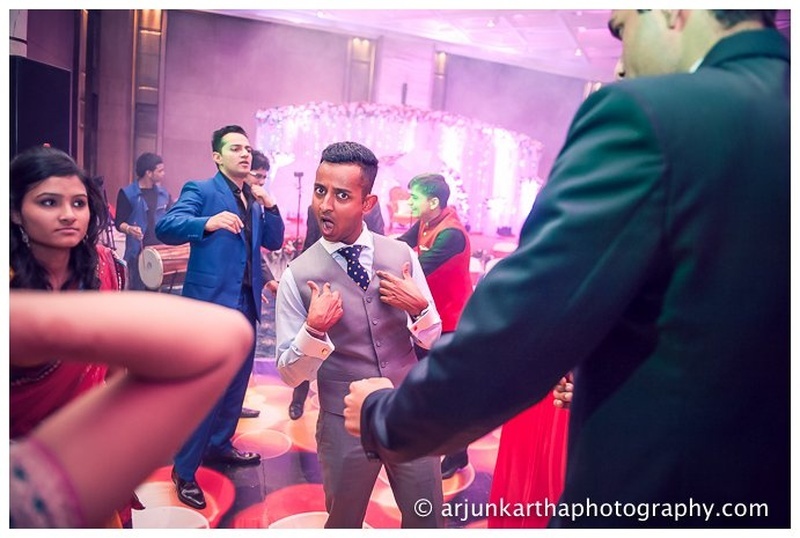 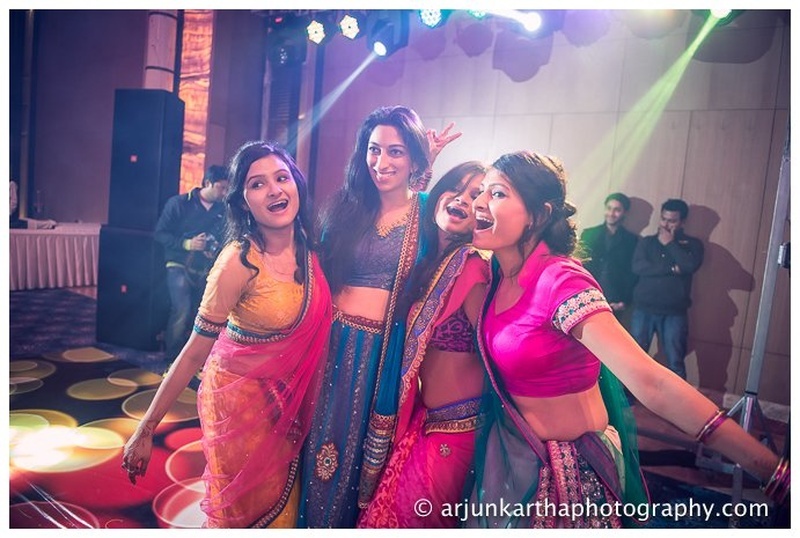 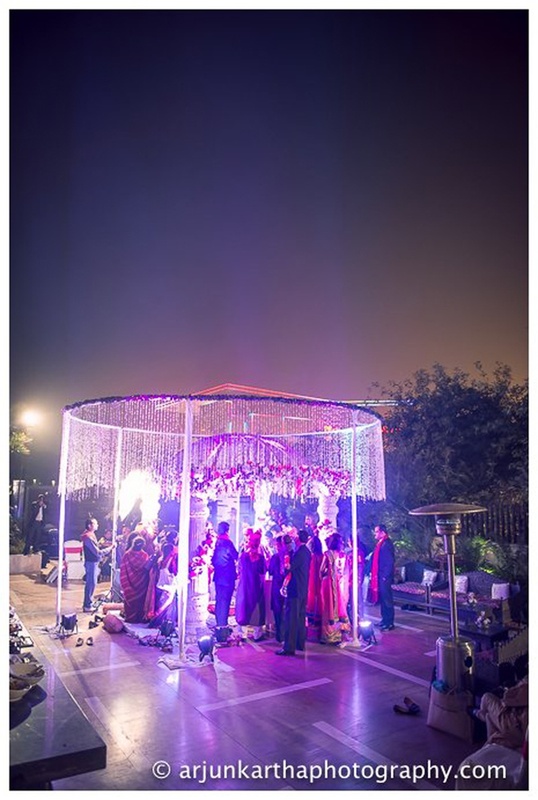 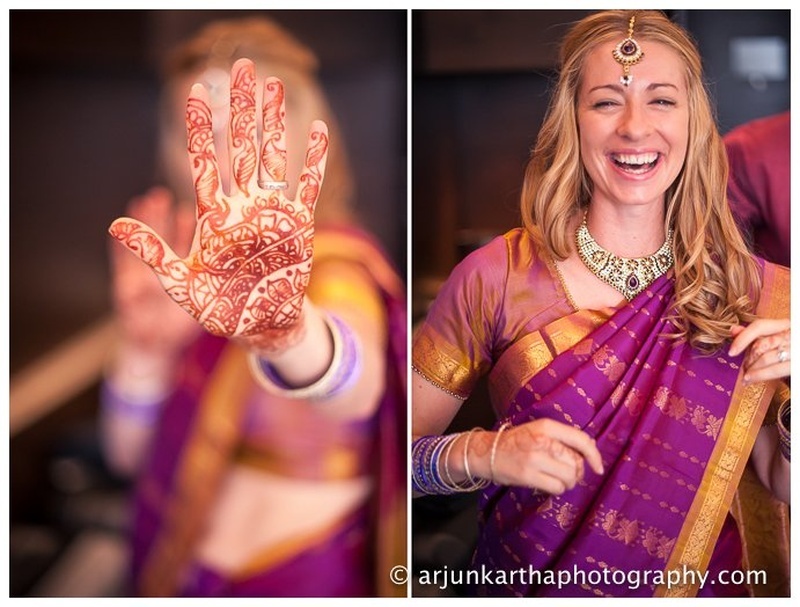 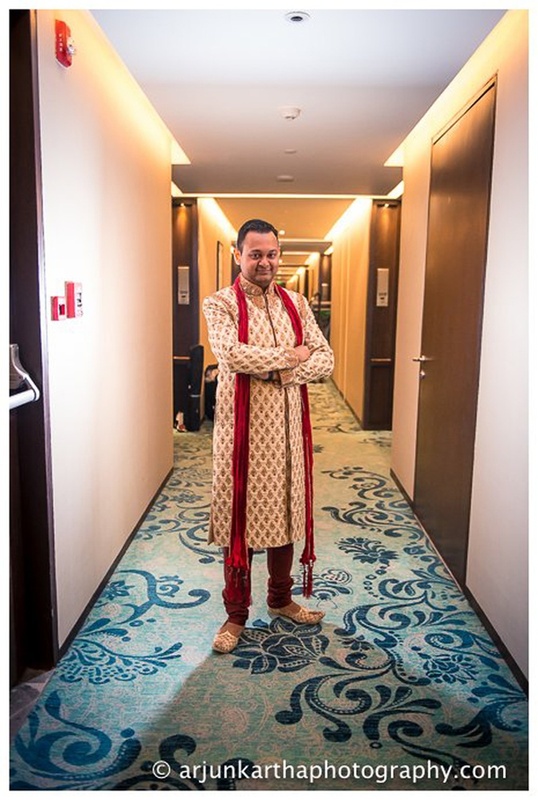 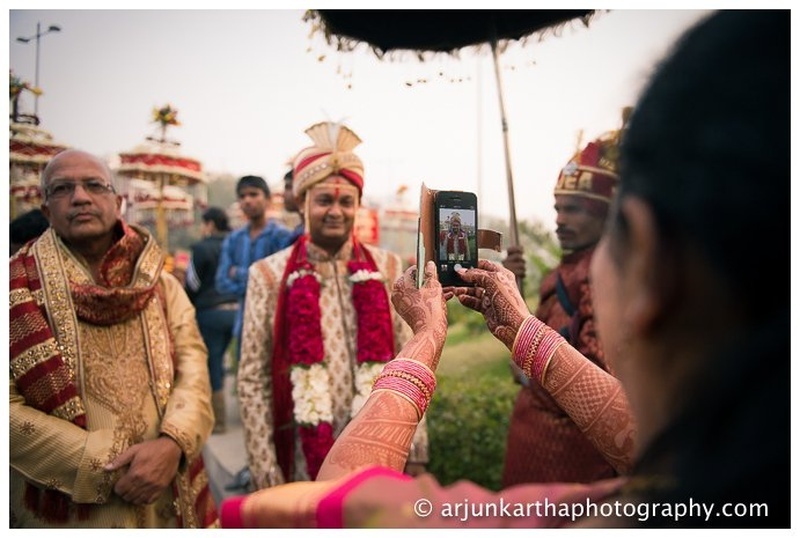 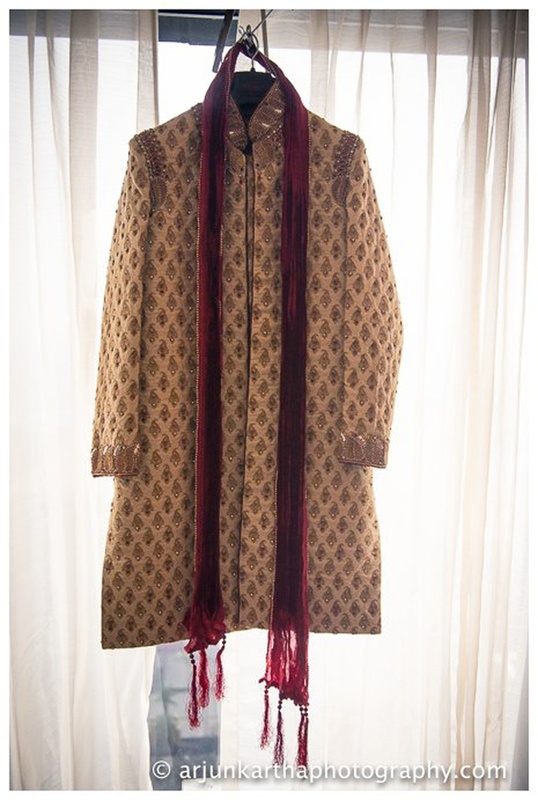 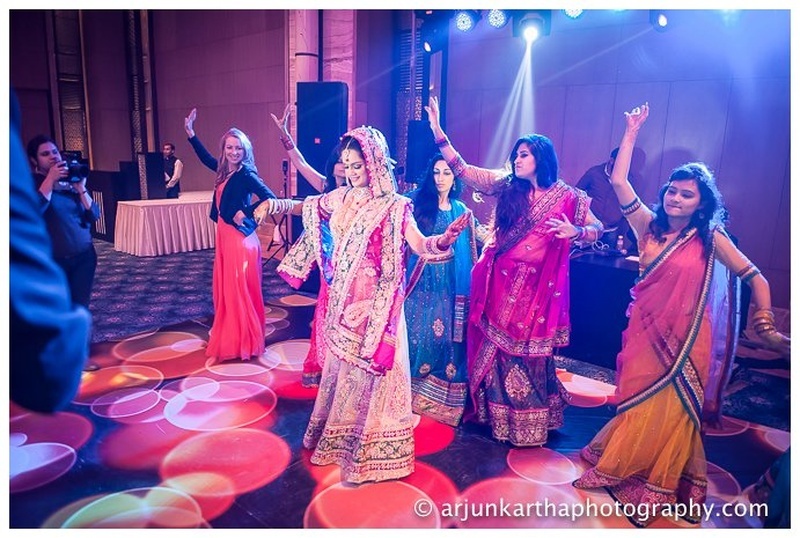 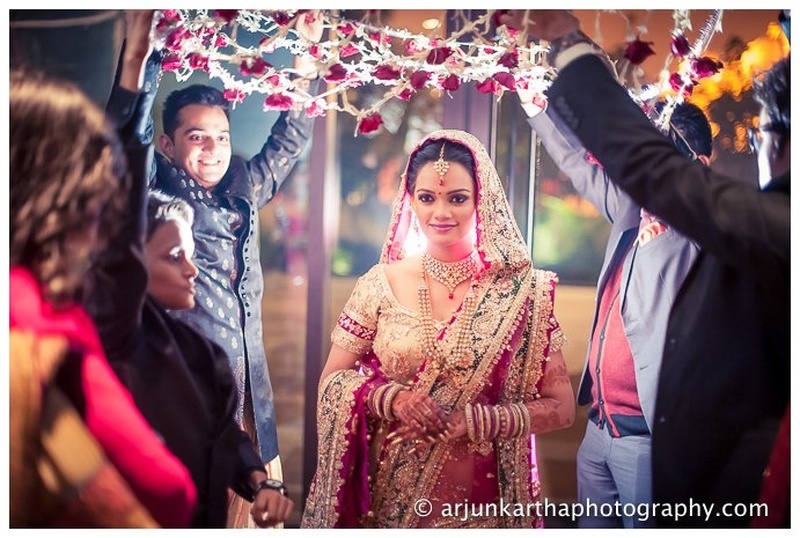 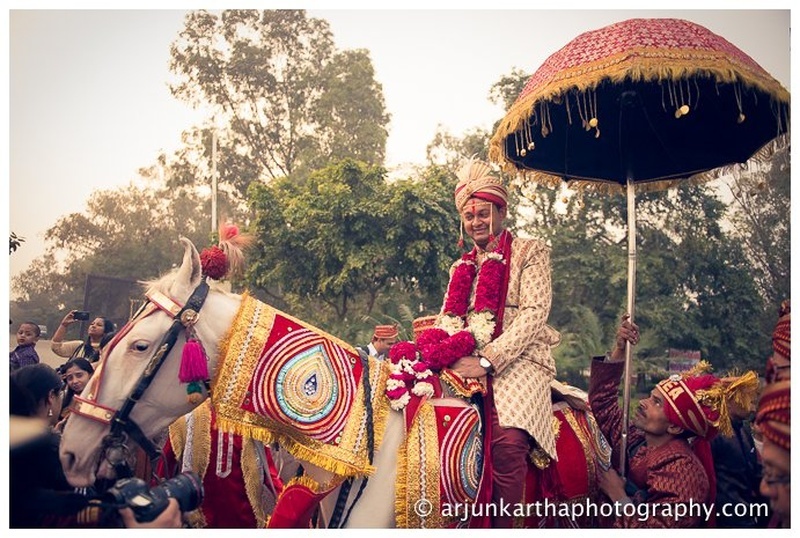 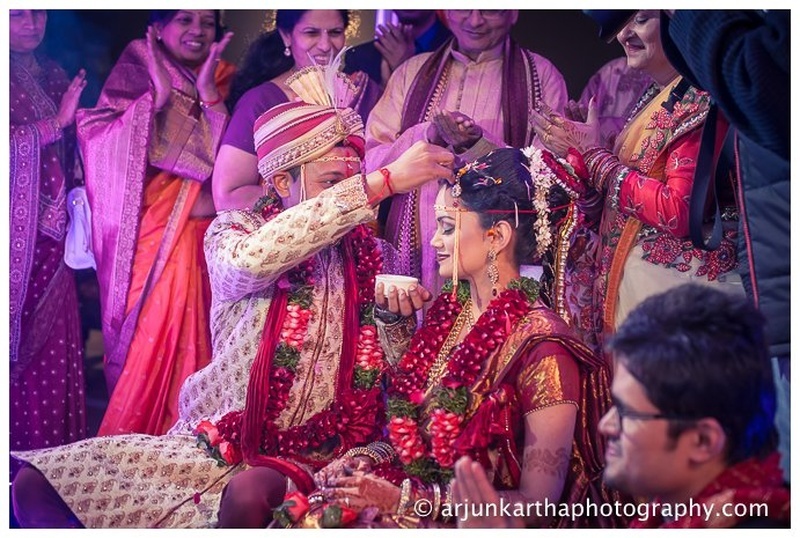 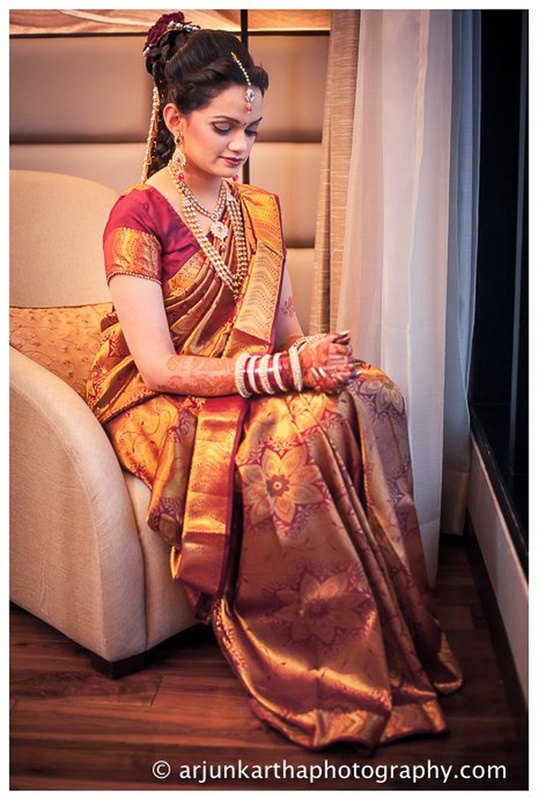 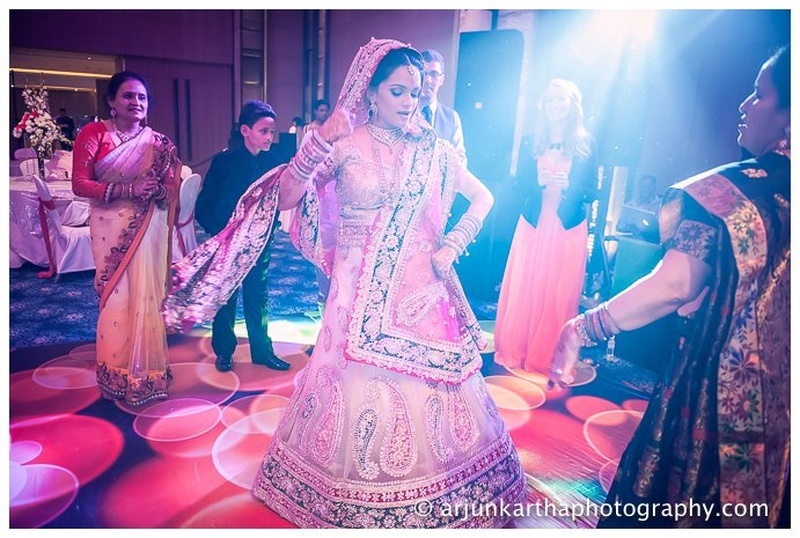 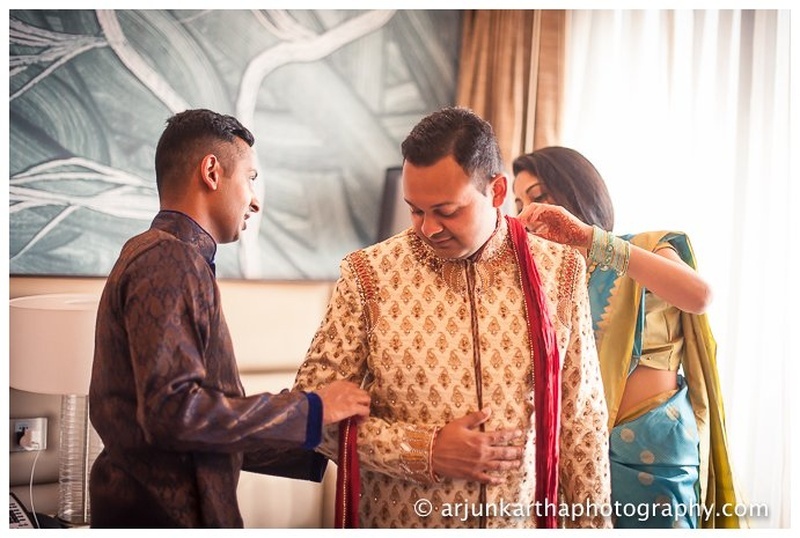 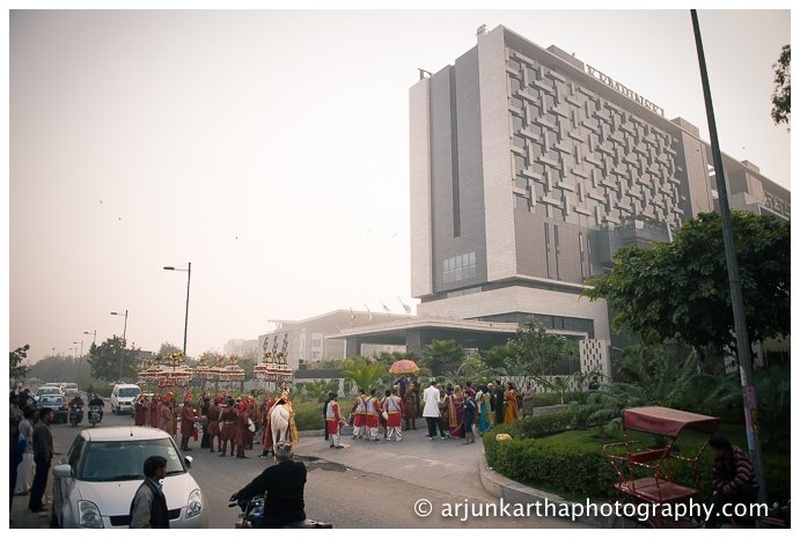 After all – what is an Indian wedding if it isn’t held in India?! 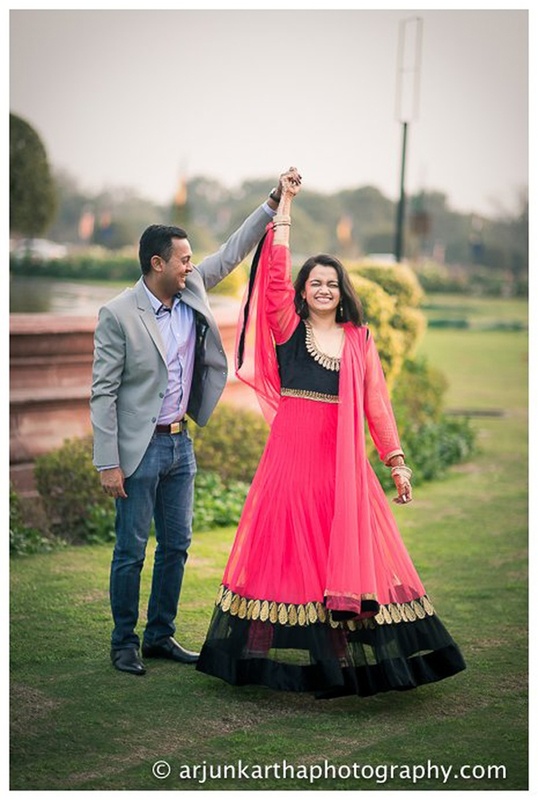 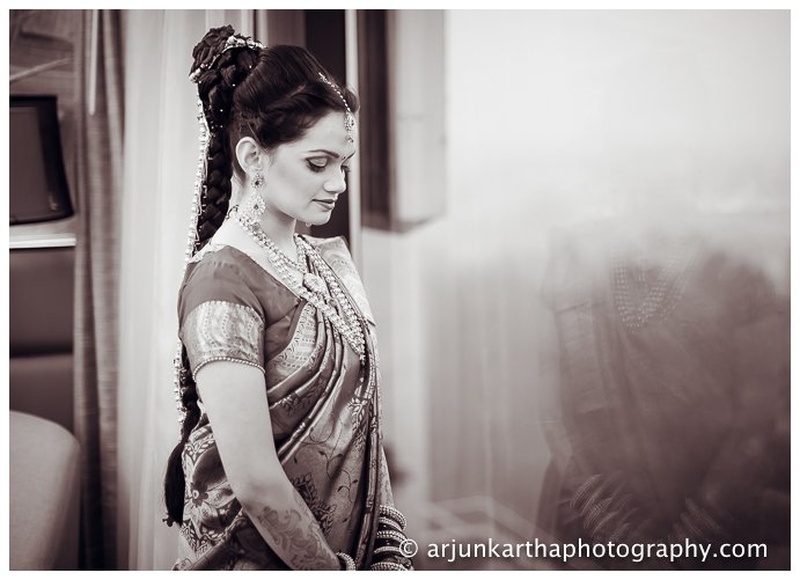 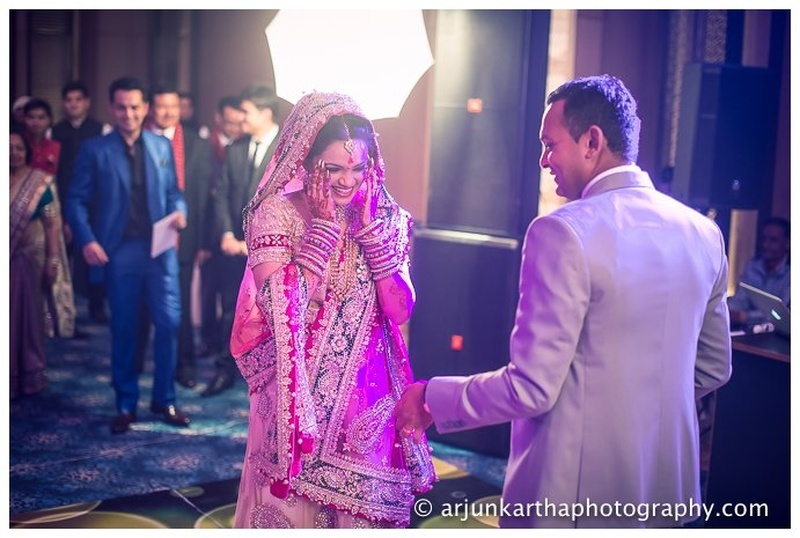 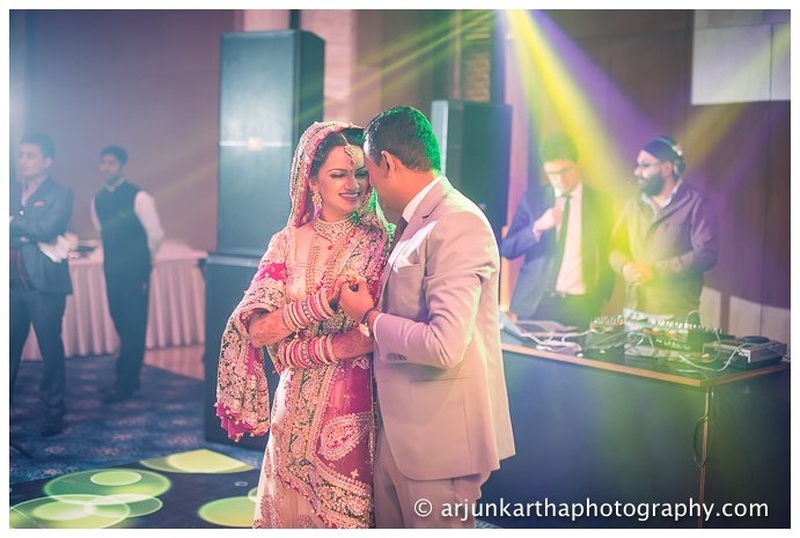 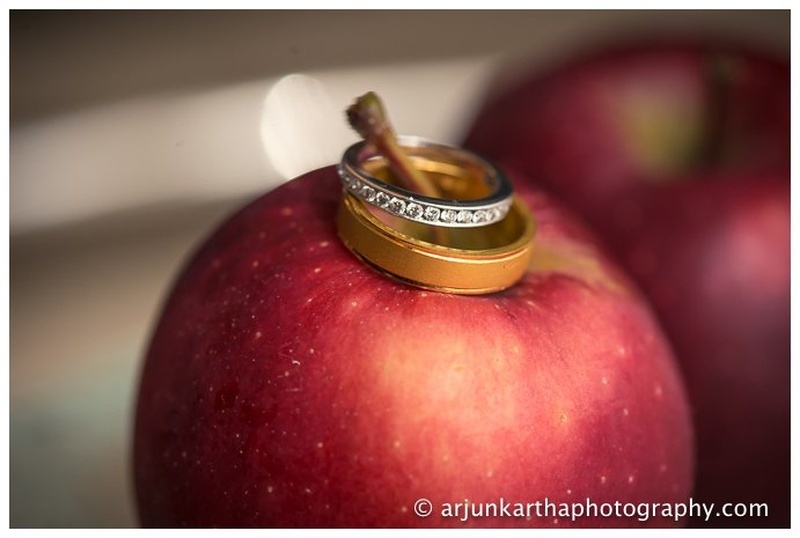 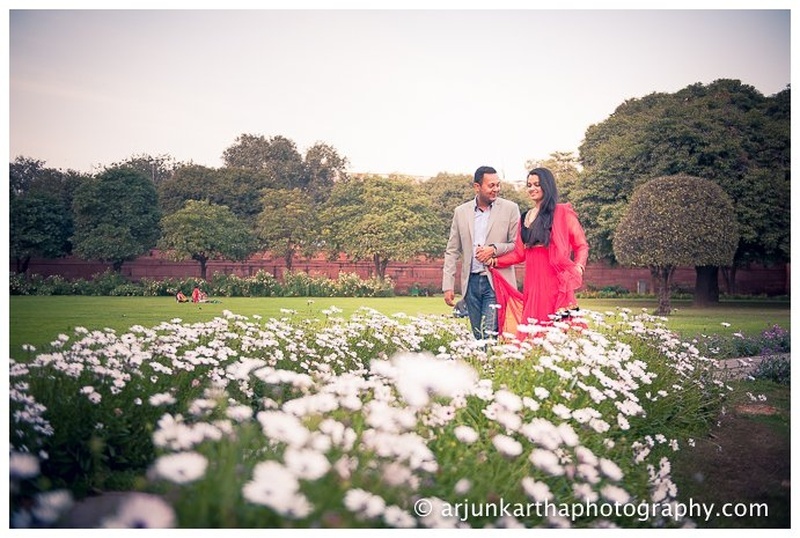 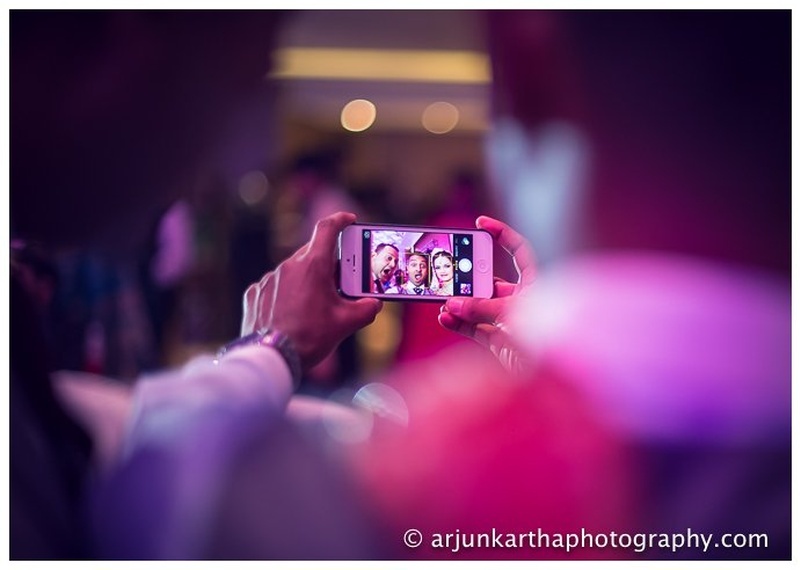 Their pre-wedding shoot was Although the wedding was an elegant one-day affair, held at the Kempinski Hotel, Ghaziabad it was so full of love, laughter and camaraderie that each photo shot was absolutely delightful.